Do you look for the four or five digit code on your produce to help avoid GMO (http://www.examiner.com/topic/gmo) foods? You'll find lots of advice online telling you to do just that, but there's one problem -- it's pretty much complete nonsense. Many sites online will tell you to look for this code in order to know what you're buying. Find a number that starts with a 9, for instance, and the food is organic. Find a number that starts with an 8, and it's GMO. help identify it, this code is meant to help retailers with inventory, pricing and identification. The use of that 8 or 9 is completely optional. Suppliers can choose to label their produce as organic or GMO. In the case of organics, they will obviously choose to add that extra digit since consumers tend to pay extra and seek out organic produce. In the case of GMO foods, it is incredibly rare for any supplier to add the 8 to the front of the code -- whether the food is GMO or not. "Let's put a rumor to rest. 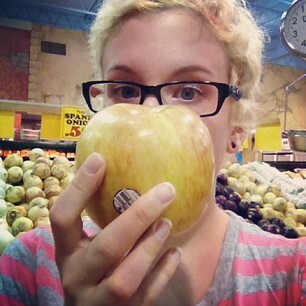 No, the 5-digit PLU codes on produce do not tell you what is genetically modified or natural. This urban legend has circulated long enough, even on the best of websites. It's time to take it down." "Those that run PLU-universe figured that someday some retailer might want to distinguish between a GMO and a non-GMO for price or inventory purposes. So they created a convention of 5 digits starting with an 8, just in case it catches on. But it hasn't. No one uses that number 8 as far as we can tell. And why would they? Most Americans say they would avoid GMOs if they were labeled." I called the International Federation for Produce Standards, which oversees the numeric code system, to verify this. An employee confirmed that suppliers can choose to leave the 8 off. She told me, "You could. It's a voluntary system. 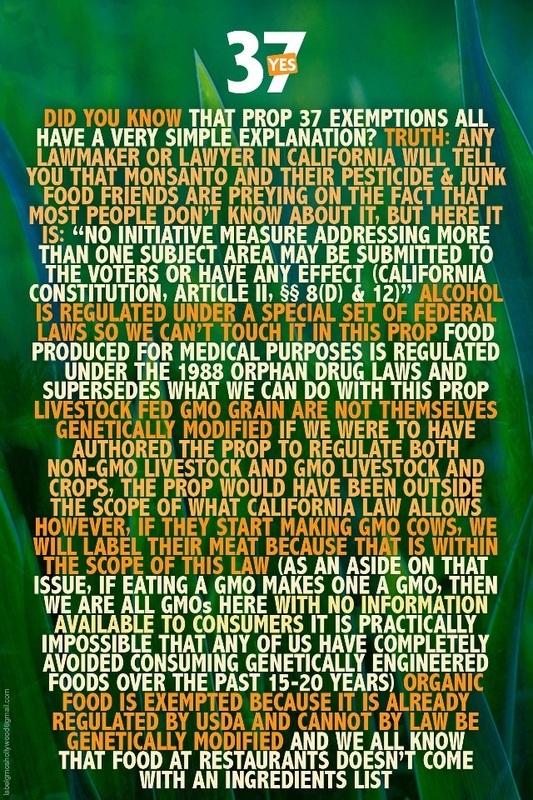 But if you see the 8 then you know it's a GMO item." For more information about the PLU system, see this guide (http://www.scribd.com/doc/19745617/IFPSPlu- Codes-Users-Guide) put out by the IFPS. 1. Buy organic, since organic foods cannot contain GMO's. 2. Look for products labeled "GMO free." canola unless they are marked organic or GMO free. In our family, we pay extra for organic corn in stores and purchase it fresh from a farmer out of Windom who sells at the Worthington farmers' market on Tuesday afternoons. At $4 a dozen ears for heirloom, Japanese and organic varieties, it's well worth the small price to us. We also pay extra for organic corn products such as tortilla chips, avoid any soy products that are not labeled organic or non-GMO and rely on our garden and trusted suppliers as much as possible. Remember, knowledge is power, but only if you're using accurate knowledge! 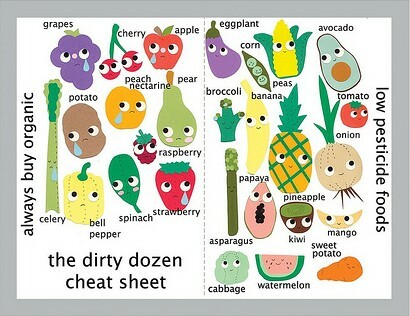 Forget about looking for tiny numbers on your produce and find better ways to know just what you're eating. GMO conspiracy reaches highest levels of US Government - Recent Wikileaks cables are typically associated with information leaks related to U.S. war strategy, and foreign policy, which has led some people to conclude that leaked information of this nature is a possible threat to national security. 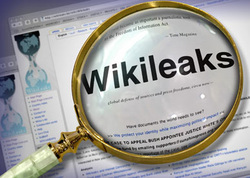 The US embassy in Paris advised Washington to start a military-style trade war against any Euroxpean Union country which opposed genetically modified (GM) crops, newly released WikiLeaks cables show. In response to moves by France to ban a Monsanto GM corn variety in late 2007, the ambassador, Craig Stapleton, a friend and business partner of former US president George Bush, asked Washington topenalise the EU and particularly countries which did not support the use of GM crops. "Country team Paris recommends that we calibrate a target retaliation list that causes some pain across the EU since this is a collective responsibility, but that also focuses in part on the worst culprits. "The list should be measured rather than vicious and must be sustainable over the long term, since we should not expect an early victory. Moving to retaliation will make clear that the current path has real costs to EU interests and could help strengthen European pro-biotech voices," said Stapleton, who with Bush co-owned the Dallas/Fort Worth-based Texas Rangers baseball team in the 1990s. Because many Catholic bishops in developing countries have been vehemently opposed to the controversial crops, the US applied particular pressure to the pope's advisers. Cables from the US embassy in the Vatican show that the US believes the pope is broadly supportive of the crops after sustained lobbying of senior Holy See advisers, but regrets that he has not yet stated his support. The US state department special adviser on biotechnology as well as government biotech advisers based in Kenya lobbied Vatican insiders to persuade the pope to declare his backing. "… met with [US monsignor] Fr Michael Osborn of the Pontifical Council Cor Unum, offering a chance to push the Vatican on biotech issues, and an opportunity for post to analyse the current state of play on biotech in the Vatican generally," says one cable in 2008. "Opportunities exist to press the issue with the Vatican, and in turn to influence a wide segment of the population in Europe and the developing world," says another. "A Martino deputy told us recently that the cardinal had co-operated with embassy Vatican on biotech over the past two years in part to compensate for his vocal disapproval of the Iraq war and its aftermath – to keep relations with the USG [US government] smooth. According to our source, Martino no longer feels the need to take this approach," says the cable. In addition, the cables show US diplomats working directly for GM companies such as Monsanto. "In response to recent urgent requests by [Spanish rural affairs ministry] state secretary Josep Puxeu and Monsanto, post requests renewed US government support of Spain's science-based agricultural biotechnology position through high-level US government intervention." It also emerges that Spain and the US have worked closely together topersuade the EU not to strengthen biotechnology laws. In one cable, the embassy in Madrid writes: "If Spain falls, the rest of Europe will follow." • This article was amended on 21 January 2011. The original sited the Texas Rangers team in St Louis. This has been corrected. Look for this symbol to know for sure. Farmers and processors have to go through strict guidelines and inspections by third party evaluators. Conventional does not have to meet any guidelines and could apply pesticides as many times as they want. Our friends in Europe have resources for you also.